sam and i normally read picture books during the day, but at bedtime, the three of us (when mike is home) go for something a little different. 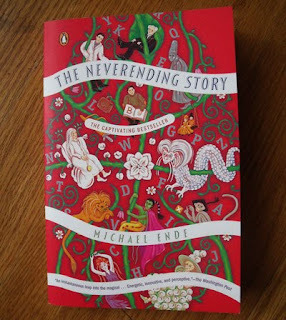 we recently finished the chronicles of narnia, and are about to finish up harry potter and the deathly hallows, so next on the list is the neverending story. we might be going a little heavy on the fantasy, but i'm excited to read this again. it's been a long time.